Binance is the largest crypto exchange in terms of everyday users and adjusted volume on Coinmarketcap. It is one of the most beloved exchanges among both beginners and advanced traders. Binance has gained its popularity due to numerous trading pairs and low trading commissions. It has also a good reputation in terms of security, speed and support. In today’s article we’ll explore what made Binance so popular among traders. Binance was founded in September 2017 in China and since then has opened offices around the world. It has its own cryptocurrency, Binance Coin (BNB), with Market Cap of $2.7 billions. There is a total of 430 cryptocurrency pairs traded on Binance with BTC, ETH, USDT, TUSD, USDC, BNB and PAX as quote currencies. 150 of the pairs are trading against BTC and 140 pairs are traded against ETH. Binace has launched a Binance DEX in February in testnet and is preparing to launch Mainnet DEX later in April. Users can already create wallets and exchange tokens on Binance decentralized exchange. You need only email to start trading on Binance. It has basic functionality for casual traders and advanced functionality with in-depth technical analysis tools. Binance is famous for its low fees. Trading fee is as low as 0.1%. You can even get a 25% discount on it if you use BNB coin to pay commission. (Tip: In Balance section you have an option to convert the coins on your balance that aren’t worth much and can’t be traded into Binance Coin, so the deposit of even 30 cents can be used to pay a commission). Binance exchange has no deposit fee. Moreover, Binance has recently added opportunity to make deposits using credit card via Simplex. Withdrawal fees differ for all currencies. The Bitcoin withdrawal fee is 0.0005 BTC, for ETH the fee is 0.01 ETH. The amount you can withdraw depends on the level of your account. 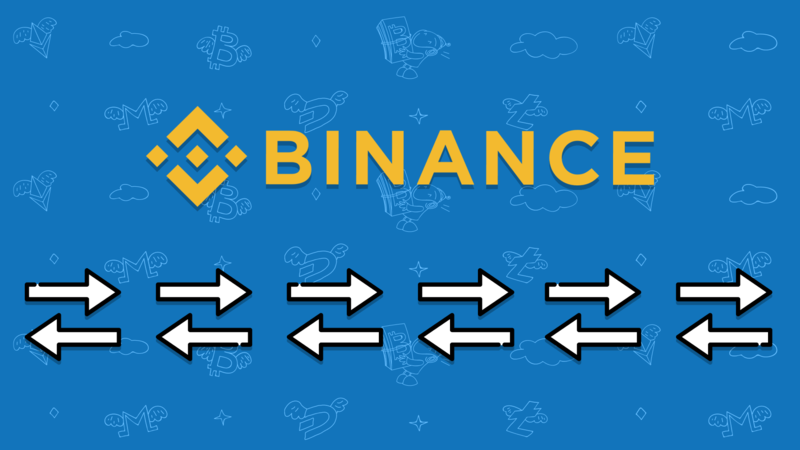 You can increase the level by providing Binance with personal information requested. To sum up, Binance exchange is pretty easy to start with and is suitable for both beginners and professional traders. Variety of cryptocurrencies for trading and low commissions certainly contribute to Binance popularity and to its leadership among the exchanges. Also the exchange has a solid reputation in terms of security. Once you make yourself comfortable at Binance, check our TradeSanta automated trading bots on Binance, that will make trading even easier by placing orders according to your filters.